Naturalized citizens are an important part of our great democracy, bringing a wealth of talent, ability, and character to this nation. These words reflect the great spirit of our nation. Becoming an American citizen is a defining moment in an immigrant’s life because it signifies the end of a long road, and the beginning of a new phase in his life, that of a naturalized, American citizen. There are many reasons to become an American citizen, the most important of which is participating in this nation’s democratic process through the right to vote. 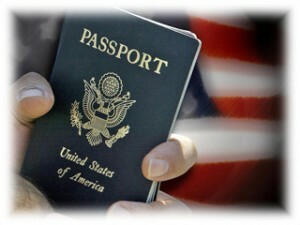 Other benefits of American citizenship are the ability to obtain governmental benefits and jobs, the right to petition for relatives to immigrate to the United States, the right to remain in the country even if convicted of a serious crime and the right to retain permanent residency in the United States. It should be noted that permanent residents may lose this right by living outside the United States for an extended period of time. Be a lawful permanent resident (have a “green card”) for five years. If you are married to an American citizen, then you need to be a lawful permanent resident for only three years. If you have refugee or asylee status, then you do not need to have been a permanent resident for five years. Please call our office for consultation and further details on this issue. Have good moral character during the five-year period preceding the application for naturalization. This means, among other things, not having certain problems with the police or other authorities. Be able to speak, read and write English at a basic level. 50 years or older and have had a green card for 20 years. Be able to pass a test on American history and government. Swear loyalty to the United States. If any of these items below apply to you, then please call us before applying for naturalization. Try to remember whether you had any problems in the past. If any of the statements below are applicable to you, then it does not necessarily mean that you cannot become an American citizen, but you should consult an immigration attorney before you apply for citizenship to learn whether you have a problem and how you can best explain it to the immigration authorities. You made trips outside the United States for a total of more than six months. You moved to another country since getting your green card. You are in deportation or removal proceedings or have been deported. You have not filed your federal income taxes. You have not supported your children. You have contradictory information on your application. You lied or committed fraud to get your green card or weren’t originally eligible for your green card when you received it. You have been arrested or convicted of a crime or have committed a crime. You lied or committed fraud to receive public benefits. You helped someone enter the United States illegally, even if he was a relative. You claimed to be an American citizen but were not. You have been charged with having committed domestic violence, child abuse or neglect. You have voted illegally in the United States. You have made a living by illegal gambling. You have been involved in prostitution. You have been a habitual drunkard, a drug abuser or addict. If any of the above statements above apply to you, then please consult with our immigration attorneys before filing your application for citizenship! Members and certain veterans of the American Armed Forces are eligible to apply for American citizenship under Provisions 328 and 329 of the INA. USCIS streamlined the process for military personnel and those who were recently discharged. Generally, service in the Army, Navy, Air Force, Marine Corps, Coast Guard, certain reserve components of the National Guard and the Selected Reserve of the Ready Reserve qualifies. Swear that you are loyal to the United States. Qualified members of the American Armed Forces are exempt from other naturalization requirements, including residency and physical presence in the United States. All aspects of the naturalization process are available overseas to members of the American Armed Forces. An individual who obtains American citizenship through, and then separates from, military service under “other than honorable conditions” before completing five years of service may have his citizenship revoked. Filed an application while still in the services or within six months of separation. All immigrants who have served honorably on active duty in the American Armed Forces or as members of the Selected Ready Reserve on or after September 11, 2001 are eligible to file for immediate citizenship under the special wartime provisions of Section 329 INA. This section also covers veterans of designated past wars and conflicts. Section 329 of the INA provides for grants of posthumous citizenship to certain members of the American Armed Forces. Other provisions of law extend benefits to surviving spouses, children and parents. A member of the American Armed Forces who served honorably during a designated period of hostilities and dies as a result of injury or disease incurred in, or aggravated by, that service (including death in combat) may receive posthumous citizenship. The service member’s next of kin must make an application for citizenship within two years of the service member’s death. The surviving family members, however, cannot receive any immigration benefits from the posthumous grant of citizenship.